If you take bookings in person, over the phone or through other channels apart from Bookwhen, then you might want to add attendees onto your events yourself. Essentially you will need to follow the same process as your customers do when booking online. Make sure you're logged in to Bookwhen first. This will ensure Bookwhen recognises you as the administrator of your account when you go to process a booking. Click on your Public Page link at the top of your account page. Now, select the relevant tickets to book on behalf of a customer. Proceed with the booking. Unlike a regular customer, you're not required to enter mandatory fields in order to complete the booking. However, it's recommended you enter some key details in order to recognise the booking later. An email address is most useful as this will send the booking confirmation to the customer. 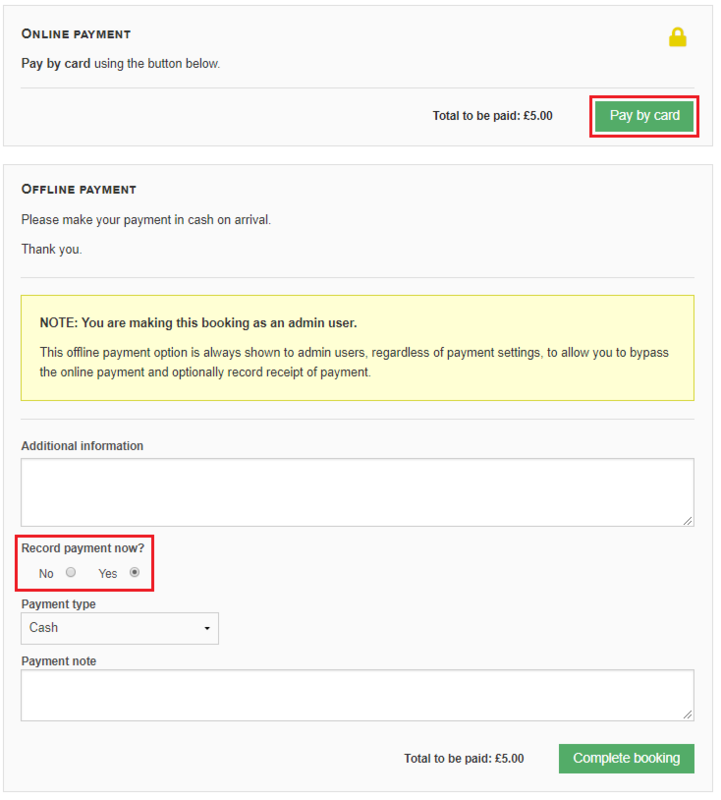 If you have card details to take payment for the booker, you can do this by clicking on pay by card. If you have already received payment by another method you can opt to click 'yes' in the record payment now field, also selecting the payment type, and recording a payment note if required. To complete the booking with payment to be completed at a later date simply leave record payment now as 'no' and click complete booking. You can always record payment at a later date - as shown in our support article here.